The health care system in Italy is a regionally based national health service known as Servizio Sanitario Nazionale (SSN). It provides free of charge universal coverage at the point of service. 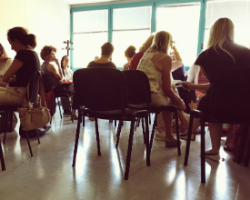 While the national level ensures the general objectives and fundamental principles of the national health care system are met, regional governments in Italy are responsible for ensuring the delivery of a benefits package to the population. 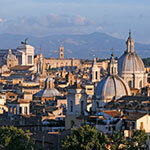 Health care facilities vary in terms of quality in different regions of Italy. In 2013, Italy hosted an expert consultation on public health aspects of migration in collaboration with WHO/Europe. Health in the cities is an investment opportunity rather than purely a cost driver. 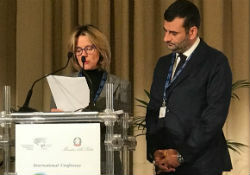 This is the key message of the Urban Health Rome Declaration, signed jointly by Beatrice Lorenzin, Minister of Health of Italy, and Antonio Decaro, President of the National Association of Italian Municipalities, and adopted during the international conference “Health in the Cities” on 11 December 2017 in Rome, Italy. Ospedale SS. Giovanni e Paolo, Corridoio S. Domenico, 1st fl.